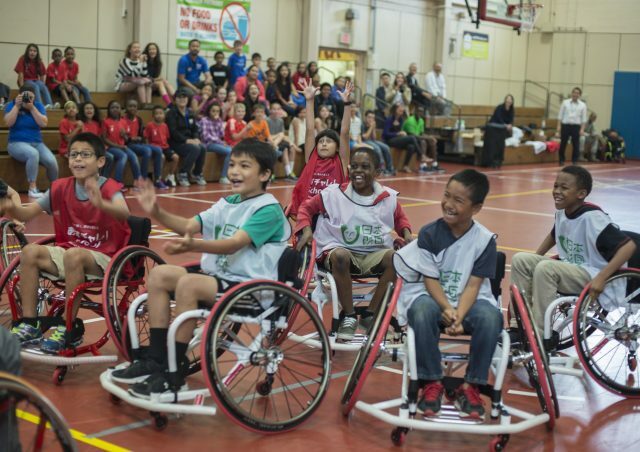 Enthusiasm for inclusive recreation – the concept that recreation departments, schools, sports organizations and similar entities should offer programs for everyone, regardless of ability – is sweeping the nation, and professionals entering the recreational field must be prepared to meet this need. “Professionals today in the field of recreation management must be prepared to address inclusion, and meet the needs of people of all abilities,” said Dr. Rodney Blackman, Chair of Recreation Management at the United States Sports Academy. “Inclusive recreation services promote the idea that, if I walk a minute in someone else’s shoes, I will get something good out of it,” Blackman said. Blackman said the Academy is responding to society’s evolving sensitivity by offering courses that teach students how to meet the recreational needs of all people. The courses are designed to increase awareness of, and sensitivity to, the recreation and leisure service needs of persons with disabilities. Specific attention is given to facility design geared for accommodation, as well as the programmatic and administrative strategies needed for successful and effective implementation of recreation and leisure services that seamlessly integrate persons with disabilities and persons without disabilities. 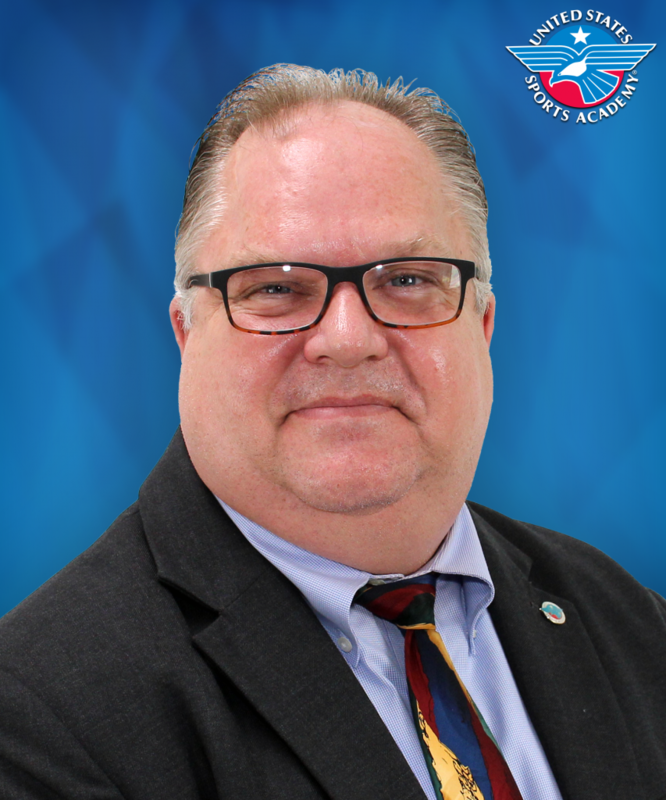 Dr. Rodney Blackman is the Chair of Recreation Management at the United States Sports Academy. The Academy offers a graduate level course, “Inclusive Recreation Services,” which Blackman said helps master’s degree students in recreation management learn the primary themes and issues of inclusivity related to recreation. The Academy also offers a graduate level course, “Adaptive Athletics and Sports,” which is designed to raise awareness of the organizations, competitions and sports opportunities for athletes with disabilities. Students also examine coaching, training and event management for athletes with disabilities. Blackman is an expert in recreation management, having worked in academia since 1997 after years of work in the public and private sectors. Blackman’s education and professional experience have been primarily in the areas of leadership, management, marketing, programming, operations management, and administration – all in the context of sports, recreation, tourism, and leisure services delivery systems. His foremost area of expertise is in the legal aspects of sports, recreation, and leisure services. He earned his bachelor’s degree in theology from the Master’s College in Los Angeles, his master’s degree in leisure services program management from the University of Northern Iowa and a Master of Legal Services degree equivalent from Indiana University School of Law. He earned his doctorate degree in recreation from Indiana University. “Why is there such a thing as recreation, and why is it necessary? Is recreation more important than work? I would submit they are equally important,” Blackman said. “We need restoration, and recreation is the mechanism that we use to get restoration. You work all day then you go home and that gives you restoration. You get an hour break for lunch in the middle of the day to be restored momentarily. Our bodies were not made to run ourselves into the ground. The things we design for restoration, we take them seriously. Blackman said inclusivity in recreation is important because it is required by the Americans with Disabilities Act (ADA), a civil rights law that prohibits discrimination against individuals with disabilities in all areas of public. According to Blackman, there are types of accessibility that make for a truly inclusive program. The first is physical accessibility, examples of which are zero-depth entry and hydraulic lift chairs in swimming pools, curb cuts on public paths and voice activated elevator controls for the visually impaired. Today Pistorius is serving a six-year prison sentence for the 2013 shooting of his girlfriend. But before his legal troubles Pistorius, a multiple Paralympic gold medalist who used prosthetic “blades” to race in place of his lower legs, challenged an International Association of Athletics Federations (IAAF) rule that banned the use of “any technical device that incorporates springs, wheels or any other element that provides a user with an advantage over another athlete not using such a device.” After years of attempts to qualify for the, he became the first amputee runner to compete at an Olympic Games, where he raced in the 400 meters in 2012 in London. Blackman said that after the ADA became law in 1990, some recreation organizations met the new standards with a certain degree of backlash, which he says is rapidly fading. Now, Blackman said sports organizations and recreation departments are some of the nation’s leaders in inclusive services. “There is a shift in morality,” he said. “There are enough persons who need inclusive services that now it makes economic sense for organizations to make their buildings accessible. “They know it is important that every person – regardless of ability – can recreate. That has been something the National Recreation and Park Association (NRPA) and municipal recreation organizations around the country have been on the leading edge of. They know it needs to happen. It isn’t something that is going to happen overnight, but it is spreading. “When the care of people is a priority, things change,” Blackman said.